As Centennial High School Theater Director Kellie McCarty searched for spring play inspiration, she wanted to pick something popular with name recognition. 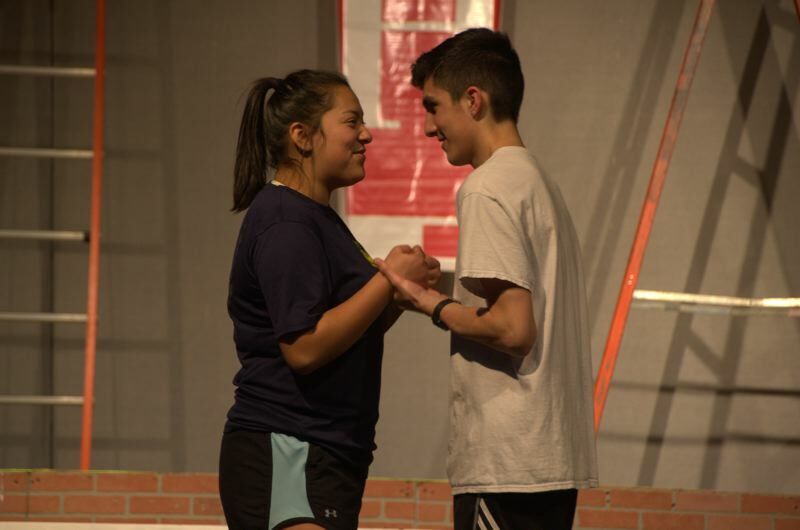 Enter Disney's "High School Musical," which the Centennial Performing Arts Department will bring to stage beginning Thursday, May 10, in the school's auditorium at 3505 S.E. 182 Ave., Gresham. "The energy of it is just contagious," McCarty says. "It's iconic." High School Musical centers on the blossoming relationship between Troy, a high school jock, and Gabriella, the new smart girl at school. They meet on a family vacation and become attracted to each other while singing in a karaoke competition. Rediscovering each other at school, their relationship and surprise decision to audition together for the school show are thwarted by the school's current leading lady, Sharpay, and Troy and Gabriella's well-meaning friends. Finally, Gabriella and Troy find a way to be themselves and are rewarded with the lead roles in the school show. 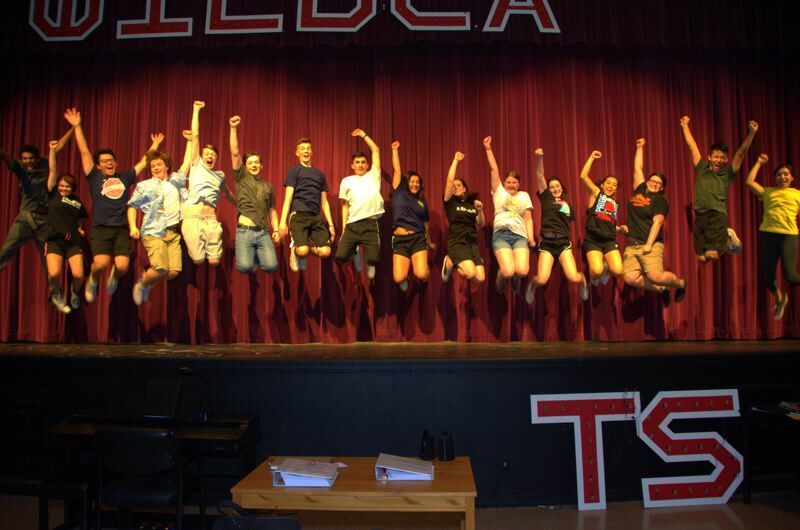 Full of catchy songs and exciting dance routines, "High School Musical" explores issues of friendship, first love, and acceptance. "The moral of the story is all about being who you are and not fitting into one group or one clique — letting multiple things define who you are," McCarty says. Centennial's production features a cast of 33 and crew of 20. The colorful costumes highlight early 2000s fashion, while the set features different aspects of a high school, including a courtyard area. Senior Ami Akiyama, who grew up watching "High School Musical," finds it meaningful to take part in this production. She plays Kelsi, a nerdy piano player who creates the show students are auditioning for. "I love how upbeat and smiley yet contained she is," Akiyama says. "It's fun to play a creative character." Senior Alex Vue plays Ryan, a character who lives in the shadow of his older sister, Sharpay. "He's been in the shadow because he's so nice," Vue says, describing how he can identify with Ryan's character. "He breaks free, becoming his own person and standing up for himself." Senior Chris Mendez plays the lead character of Troy, an athlete struggling because he wants to be part of a theater show. "I relate to him," Mendez says. "He wants to be more than what everyone else says he is and should be." Jessica Cabrera, a sophomore, portrays the other lead, Gabriella. "She just moved schools with her mother and is getting used to going to a new school and meeting new people," Cabrera says. "She's able to adapt to anything thrown her way, from meeting new friends, to getting involved in new things." As Chad, junior Joseph Kaylor admires his character's drive and determination. Yet in the end, he's even more proud of his character for standing up for his friends. "The camaraderie with this cast is really great," Kaylor says. "We have strong chemistry. This is a show we grew up watching and thought about it as little kids. It's so cool we get to take on those characters and roles." What: Centennial High School Performing Arts presents "High School Musical"
Cost: Tickets are reserved and are $12 for adults and $10 for students and seniors.